By Amanda Glenn 5 Comments November 12, 2018 This post may contain affiliate links. 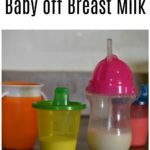 At some point, it will be time to transition your baby off of breast milk onto something else, whether that is formula (if your baby is under one when you stop pumping, or if you need to supplement), or to milk if your baby is at least 12 months old. 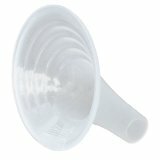 Here is how to make weaning your baby off breast milk to formula or milk as easy as possible. 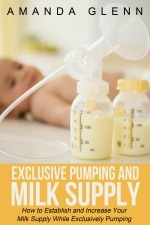 If you stop pumping before your baby turns 1, you will need to transition to formula. After your baby turns 1, though, you have to figure out what exactly your kid should be drinking instead of breast milk and/or formula, such as cow’s milk or other alternative milks, like soy milk. It’s a good idea to talk with your baby’s doctor about this – some doctors recommend whole cow’s milk for 1-year-olds, others say 2% or whatever the rest of the family drinks is fine (mine actually said whole milk for one kid and 2% for the other, so who knows). It also might depend on your individual baby’s circumstances; for example, a doctor might be more likely to recommend whole milk for a baby on the lower end of the weight curve or an alternative milk for a baby who doesn’t tolerate lactose well. Soy Milk – Soy milk has about the same amount of protein as cow’s milk, and has some iron, but does not have sufficient calcium for babies. Some people have concerns about isoflavones in soy products and what is does to our reproductive systems, though the true effects are still being debated. Almond Milk – Nut beverages (of which almond milk is the most popular) are created by grounding nuts, straining, then liquifying the final product. These milks tend to be deficient in Vitamin B12 and have little protein compared to soy milk. Rice Milk – Rice milk is processed from brown rice, and it is the least allergenic alternative milks for allergy-sensitive families. The nutritional value of rice milk is very small, however, except for the fortified additives. Hemp Milk – Hemp milk appears to be a good alternative – it is a good source of protein, magnesium, iron, and vitamin E. It is generally well-tolerated by those with soy, dairy, and/or tree nut allergies. It is created from the seeds of the same plant used to make marijuana. Goat’s Milk – Goat’s milk contains lactose, so it might not be a good fit for kids with a cow’s milk allergy, but it is similar in composition to human breast milk and may be a good choice for some families. A multivitamin including iron and B-vitamins is needed for kids who drink goat’s milk. Pea Protein Milk – Pea protein milk is nut free, vegan, soy free, gluten free, and lactose free. It doesn’t taste like peas, has more calcium than cow’s milk, and is fortified with B12. Making the transition to a milk other than breast milk (or formula) can be as easy as switching from breastmilk or formula or milk cold turkey: one feeding your baby gets breast milk in a bottle, and the next he gets the milk or formula that you’re transitioning him to. You can also make the transition gradually. On my son’s first birthday, I put just a splash of whole milk into his bottle to see if he’d take it and whether he had an allergic reaction. He didn’t seem to care one way or the other – or even notice the change – so over a week I gradually began increasing amount of whole milk in each bottle. He was in daycare at the time, so I just kept bringing his milk in in bottles, as I always had, they were just made up partly of cow’s milk. Once he’d taken some bottles that were just cow’s milk, I stopped bringing in milk at all, and let the daycare serve him the milk that they had for the children as part of the program. At this point, when he got breast milk (I kept pumping for two months after he turned 1), I gave him only breast milk, and the same with cow’s milk, no more mixing it up. 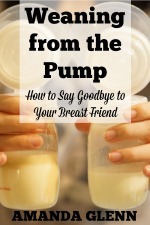 If possible, I would recommend waiting to wean from the pump until after you’re started the transition and you know your baby will take the new formula/milk. It can be really stressful if you start the transition when you’re out of breast milk and your baby refuses the new milk you’d planned on. 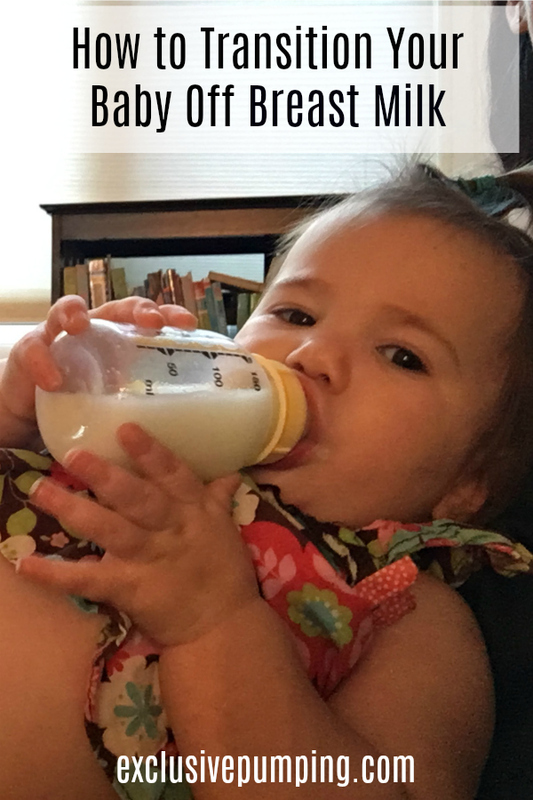 One other thing to think about: if you’re switching to milk at age 1, you’re also at about the age that you make the transition from bottle to sippy cup. Your timing is perfect! I am days away from closing the exclusive pumping chapter of my life (hopefully)! My daughter just had her first birthday. She only has a few more bags of frozen breastmilk left. Since she turned one, we have been doing some fresh breastmilk (pumping less and less), some frozen breastmilk, and some cow’s milk (we are doing organic whole milk with vitamin D). To transition her to cow’s milk, we did the “cold turkey” method. I just gave it to her one day and she made a face, but perhaps because it was cold. 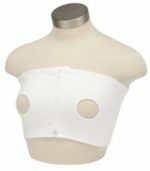 The next time, I warmed it in the bottle warmer and since then, she has seemed to take it just as well as breastmilk. We have been using cow’s milk at night and for travel because it is easier to deal with than frozen milk. Now the sippy cup…that is another story. She pushes it away! I have tried many different kinds, too. She will take a few sips of water just from a normal cup. Maybe my daughter just likes to do things her own way… Also, just wanted to say THANK YOU for all of your tips and support throughout the last year! It helped so much to know that I was not alone and it helped to be able to share my thoughts, too! I really appreciate it. Thank you so much Stephanie!! I really appreciate you reading and commenting during your EPing journey – best of luck to you and your baby in the future. And congrats on making it one year!! Good luck with the sippy cup!